For a show about all of the different kinds of people who can survive a zombie apocalypse—including inhumanly capable police officers, annoying children, women with swords, and roguish crossbow-users who ride Nazi motorcycles—The Walking Dead has been weirdly heteronormative. C’mon, show. Where are the gay survivors of the zombie apocalypse? Well, according to TV Line, we might be meeting one soon. Actor Ross Marquand has reportedly been cast in the series, and, apparently, he’s going to be playing Aaron—“a prominent gay character” from Robert Kirkman’s comic series that The Walking Dead is based on. 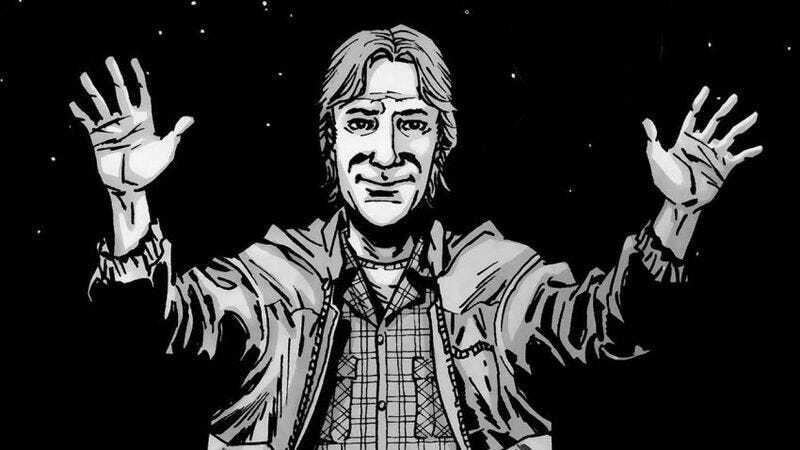 Back in November, Kirkman teased that a “prominent gay character” would show up at some point, and since that’s the same phrase that TV Line used to talk about this guy, it seems like Aaron is who he was referring to. Of course, none of this has been confirmed, so it’s possible that neither Ross Marquand nor this Aaron character will be on the show, but Aaron is important to a storyline from the comics that the show will probably be tackling soon, so he’s a pretty safe bet. For all we know, though, Marquand could just be a zombie.